Oct. 27, 2018: A 46-year-old man armed with an AR-15-style rifle and other weapons opened fire at the Tree of Life synagogue in Pittsburgh's Squirrel Hill neighborhood on the Jewish Sabbath, killing multiple people and injuring four police officers and two others, according to officials and law enforcement sources. Witnesses said the suspect yelled anti-Semitic comments as he was being taken into custody. About two dozen people died when a gunman opened fire at the First Baptist Church in Sutherland Springs, Texas, Sunday, Nov. 5, 2017. The community of 400 is 20 miles from San Antonio. April 24, 2016: Mark Storms fatally shot 27-year-old Robert Braxton III during Sunday services in a suburban Philadelphia church. Storms, 46, argued self-defense but was sentenced to 10 to 20 years in prison for voluntary manslaughter. Feb. 28, 2016: Rev. William B. Schooler, 70, was fatally shot by his 68-year-old brother inside an office at St. Peter's Missionary Baptist Church in Dayton, Ohio, as Sunday services were winding down. Daniel Schooler was found guilty of murder and sentenced to 31 years to life in prison. 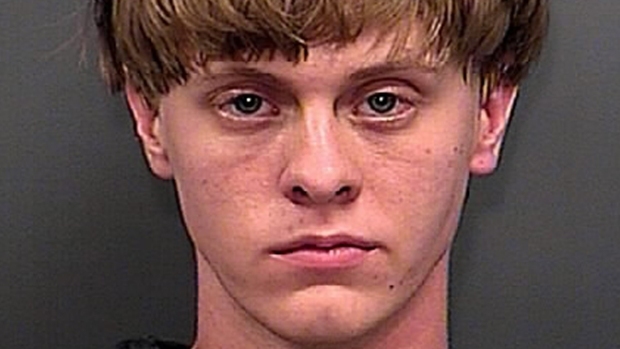 Dylann Roof, who was convicted and charged for shooting and killing nine people in a 2015 church shooting in Charleston, South Carolina, received nine consecutive life sentences after he plead guilty to state murder charges Monday. May 3, 2012: A homeless man killed himself after fatally shooting a priest and a church secretary at St. Peter's Episcopal Church in Ellicott City, Maryland. Police said Douglas Franklin Jones had been turned away from the church food bank about two weeks earlier for visiting every day instead of weekly.